What is a new year if not a time to create resolutions, feel crappy when we don’t really keep them, and then create stories in our minds about how we never follow through! Yay – happy new year and welcome back to the habit of attempting a new start toward better ways at the beginning of each new year. We always mean so well. Today, I have a solution that actually has a pretty strong chance of success – a 3 step process that works for changing bad habits. Our habits create our character. 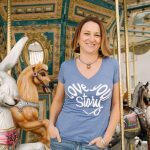 Do you realize you have story habits? Stories that get replayed, over and over in your mind as fact. 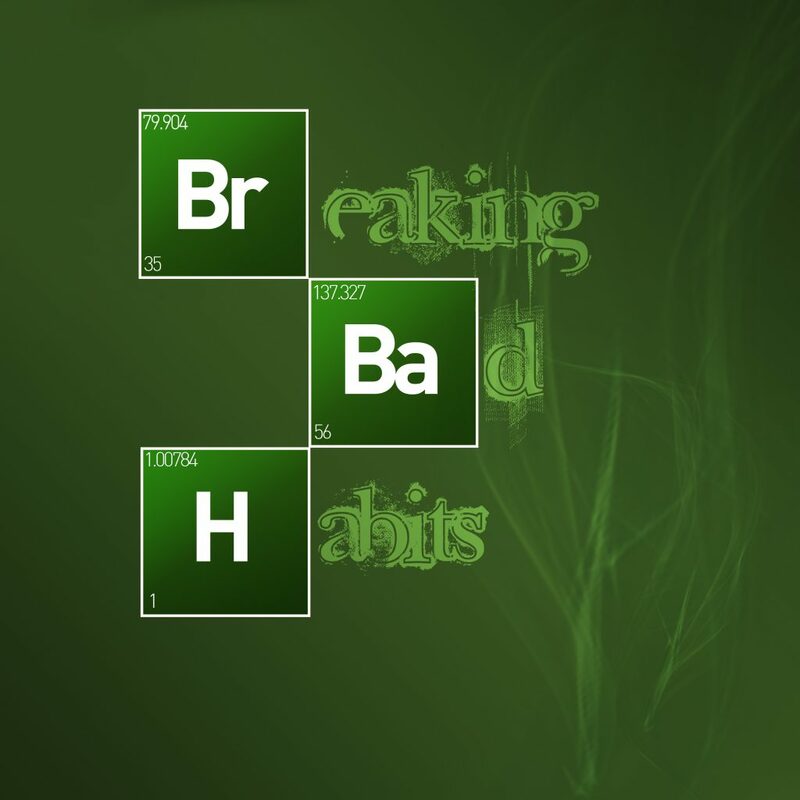 Since our character is defined by our habits, and our lives are created with our stories, it seems pretty important to consider the habitual stories we’ve got playing on autoplay. Stay tuned today for 3 steps from Michael Bungay Stanier, a Wall Street Journal Bestseller, that will give us a pattern for breaking the bad stories and reprogramming our own minds with better stories. You can also use the 3 step process for reprogramming any habit you want to change, but today we are focusing on actually changing the habitual stories that don’t serve us. In other words, what we believe is true about ourselves is perpetuated by the stories we let play about us – in our own minds, and then these stories determine what we believe is true about us and we behave and allow accordingly, creating our health, wealth, beauty and genius. Our habitual stories create our own concept of self. So, let’s ask the first and most obvious question – what do you consent to as true about you? Have you accepted your own value, your own worthiness, your strength, resilience, and beauty? Have you embraced your own good heart, your own talents and gifts? 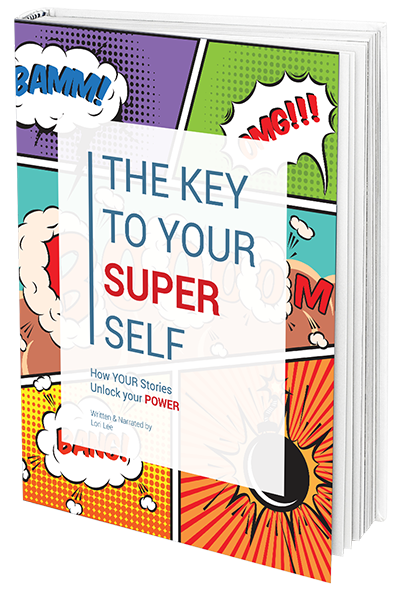 Do you embody your badass superhero persona, because in fact, that’s who you are? Or, do you need to change a few stories to get on this track? There is a woman I know who raises her grandchildren. She has changed her life of being an empty nester to doing homework, attending sporting events, dealing with curfews and all the fun and challenge that comes from raising kids again. It’s a lot of work and yet whenever you talk to her about it she refuses to acknowledge how absolutely fantastic she is for this beautiful sacrifice of her time, sanity and years of service in taking on this challenge, that exhausts her. She refuses to embrace her own good heart for what it is. She won’t claim her Wonder Woman status. Why? When we do hard things like make it through a layoff, or a car crash, or an illness; when we make it through challenges like a divorce, a lawsuit, a friend stabbing you in the back and we do it with ethics and behavior we are proud of; when we reach out to others to lift and comfort and make the world better where we can, there is nothing at all wrong with giving yourself a mental high-five and acknowledging that you are doing a great job. Every time you get it right. Give yourself a mental hug and congratulate yourself for doing the best you can! Accept your value, your worthiness, your efforts, your strength and the good intents of your heart. In coaching I’ve watched people who absolutely shine with all they have to give, but they don’t know it. In fact, many of them believe the exact opposite, that they are unworthy or broken. They don’t see or acknowledge their own power and beauty in the world. Not out of any sense of humility, it’s just that the negative stories and insecurities have gotten in the way and built up over the years. Too often I’ve watched these stories and insecurities determine exactly what the person dares to embark on. Gorgeous people living well below their potential and tangled in fear because they believe false stories about themselves. It breaks my heart because it’s such a blatant waste of potential joy – that’s why I do what I do, really, because if the tools we discuss can help someone to be less afraid, to change old stories that hold them back, if the podcast will inspire someone to embrace and allow for their own power, well…that’s a fight worth waging, or project worth doing. So how do we change those stories – not in theory, but in actuality? Today’s podcast stems from a new book I’ve been reading. It’s called The Coaching Habit -Say Less, Ask More and Change the Way you Lead Forever, by Michael Bungay Stanier. It’s the first part of this book that I’m particularly interested in sharing today – the part where you change your behavior by changing your habits. I bring in his writings because he has a system for actually changing habits. It’s not just talking about habits we know we need or want to change – we’ve talked about the power of getting rid of habitual stories that don’t serve us, but now let me present this tool for creating a new habit. It’s not what you change – because everyone is going to have something different, but HOW to make a change. So, let’s acknowledge a couple things – first – we all know that changing old behavior is akin to climbing Everest. Not many people do it, lots die trying, and those who do it successfully put in a lot of work. Well, not to make it overly dramatic, but I feel like Michael’s simple three step program makes changing a habit a lot more accessible. It still takes paying attention and work – but we are superheroes after all. So, we’ve got this. So, how do we repeatedly create and tell stories to ourselves that exude excellence and help us accept all the beauty we are? The habit we are looking at changing up today is regulating any negative stories coming from that inner voice. First, you can do a number of things to make that inner voice more tangible. Martha Beck suggests naming it, picturing it as a different being, a little dragon on your shoulder, a cat, whatever form you want to give that inner voice. Dress it up in sparkles or armor or stick a fabulous beanie on its little head. Create a being you can address, and when it talks you can picture it sitting there babbling on and you can lovingly tell it to stick a sock in it, you’ve got other positive things you prefer to focus on. Maybe you can picture yourself duct taping its mouth shut. So we’ve got your inner voice, now let’s talk about how to help it change any negative babble into supportive commentary. In Michael’s book he points out that a Duke University study says that at least 45 percent of our waking behavior is habitual and that there has been an increase of grounded findings based on neuroscience and behavioral economics that have helped clear a path for changing habits. He is coming from the place of this research. In a nutshell he suggests there are five essential components – a reason, a trigger, a micro-habit, effective practice and a plan. So, first, the reason – if you’re going to bother changing something in your life you usually need a pretty good reason. What is that reason? Often times, Michael mentions that doing it for ourselves is not as powerful as doing it to serve others. So less about what this new habit can do for you and more about what this new habit can do to help others you care about. How does no longer playing small and feeling unworthy serve your family, friends and loved ones? Well, while that’s a rhetorical question, think about the new example you can be to your kids, grandkids, other people who are looking for inspiration and a social go-ahead to live their biggest lives. When you believe in yourself and you risk and you live and create your best story the effect is so broad reaching it’s impossible to actually put a value on it. People look to one another to see what is possible, so when they look to you and see you loving yourself and enjoying life, you’ve given them permission to live well also. Let’s just say everyone benefits when you feel good about yourself. That’s a pretty good reason. Second, the trigger. When things happen in our lives it triggers other things – the habits that play out on autoplay. So, when someone rejects you maybe you get angry, maybe you feel embarrassed, maybe you get defensive. When you wake up, maybe your habit is a direct line to the coffee maker. It’s just how you start the day. Maybe when you look in the mirror your first response is to critique and criticize what you see. Maybe when someone tells you to do something your first response is to do the opposite. There are millions of triggers between us all. Hot buttons. What are yours? The first step to changing a habit is to figure out what triggers that habit or else you’ll be into the habit/behavior before you even realize it. So, what’s your trigger for the behavior you want to change? If you know that every time you set up an appointment for a sales call that the voice in your head is going to be telling you a story about rejection and eventual failure, well, the sales call is the trigger. 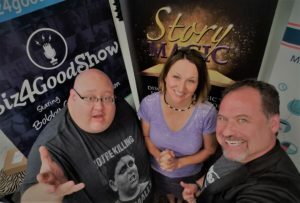 If you can pinpoint that when your wife or husband comes home with a depressing story about some negative aspect of their day that you want to strangle them for always dwelling on the negative, well, it’s their negative story that is the trigger. If your mom asking you to do chores ruins your plans and everyday this triggers frustration and anger in you, well then you know that the chore list is your trigger. The third step is to determine a micro-habit. Michael suggests that we are more likely to create a new habit if we do not get overwhelmed with the change. So, decide what the first tiny step is in the new habit, something you can do that will take no more than 60 seconds to start to create your new habit. Short and specific. A new plan that heads you in the direction you want to go. 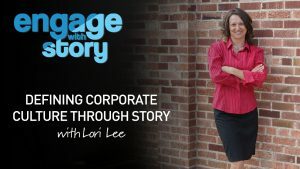 So, as pertaining to the inner voice, if you know that making that sales appointment is going to trigger a fearful story of rejection and instead you want to create an empowering story of success, the first step toward that would be to address the little angel/devil/dragon/hummingbird on your shoulder and say something like – “Thanks for your input, but that’s not working this time.” Then throw out a new story – your new micro-habit, one you’ve created ahead of time that creates the feeling of success. Picture yourself shaking hands and closing the sale. Or, play a short snippet from “We are the Champions” song whenever you are triggered. Or, picture the deposit in your bank account when the sale closes and the smile on your face. Decide what works for you, but have it ready so that when the trigger comes you have a quick step that takes you in a different direction. The fourth step is to practice deeply. Specifically Dan Coyle in his book The Talent Code, discusses the components of deep practice. They are to practice small chunks of the bigger action. So, instead of practicing the whole tennis serve you would practice parts of it – how to throw the ball, follow through, etc. The next part is repetition, repetition, repetition. Do it fast, do it slow, do it differently, but keep repeating the same action. Notice when it goes well. Practice retrains the neural pathways into new routes, new thought patterns. So, whatever that new micro-habit is, practice it. Practice it fast, practice it slow. Practice it. Identify the old habit – What are you trying to stop doing? I feel micromanaged and I want to tell him to poke it. I feel angry and frustrated that I’m not being listened to and I yell. I get completely irritated and I get anxious and passive aggressive. Defining the new behavior – What will you do instead that takes 60 seconds or less? Example: When I’m feeling frustrated in our weekly meetings because my boss tells me to put my phone away, instead of letting myself get angry and feel micromanaged I’m going to …fill in the new behavior. Example: Every time I think about the time I was sexually harassed or molested and feelings of shame, unworthiness and fear get triggered, I will instead repeat the following: I didn’t ask for this mistreatment. I am a strong, resilient, beautiful person and this was not my fault. Start by writing out these 3 steps for each habit you want to change. Write them down and read over them regularly to help in reminding you what you are changing. As Michael points out in his book – this is good news and bad news. Bad news because habits are hard to break, but good news in that when you get the habits you want in place, chances are good that they will stick. So let’s go over those five essential components – a reason, a trigger, a micro-habit, effective practice and a plan. I think if take one habit at a time, one thing we really want to change, and focus this retraining of our minds to get rid of the stories that hold us back, and reprogram in ideas and stories that focus on our beauty, worthiness and strength, we are in for one heck of a successful year. Just think if every year for 10 years you successfully changed one bad habit – We’ll I think you’d be further ahead than most. Your challenge this week is to follow this process with just one habitual story that you want to change this year. Write down your trigger, the old habit and the new behavior, then get ready to practice. Have fun out there this week creating your best story every day, in the moment! 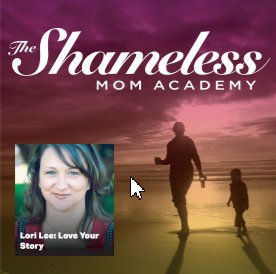 You can access and share all the Love Your Story episodes on www.loveyourstorypodcast.com. You can also sign up for our exciting 21-Day Challenge now available on the website – each day a new challenge for trying out a story tool. After 21-days you’ve tried them all and you get to choose which ones to keep in your life. If you haven’t already signed up, get on and get started. It’s a lot of fun and a great way to start out the new year. Subscribe, rate, review and share any episodes you really like with a friend or family member today! Information on the book I quoted today will be in the show notes on the website. See you next week!